hoy estuve con el equipo de producción de Amazing Race, la prueba de mañana es cuática. #eso. Already translated by dpe above. Thanks! I couldn't get es cuática. I don't think it is us...our guys have BLUE tags. Algo como amazing race en metro baquedano? Alguien sabe algo? Something like amazing race in baquedano metro station? Somebody knows? SPEC: they could be going to one of the bus stations to get to Valaparaíso / Viña del Mar (like TARLA 1 and TAR 16). Seemed to be still in Chile..but moving to the coast..?! The Amazing Race is in Valparaiso. This is the graffiti of the photo. The place is Calle Urriola near Palacio Baburizza. As a interesting fact, from there you can access Mendoza, Argentina, through the Paso Los Libertadores. This is probably TAR Norge, since the San Esteban commune is in the same region as Valparaiso and Viña, but it is located close to the Andes. 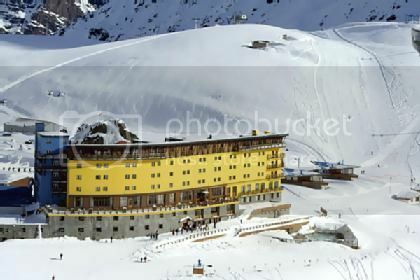 Translation: Amazing Race visited San Esteban, Casa e' campo and Portillo. Teams were amazed with the (Aconcagua) valley. Casa e' campo is a restaurant in San Esteban. Thanks EC! Moved from the Ukraine, lol. I am getting dizzy! Terminamos el rodaje de The Amazing Race en Chile ! 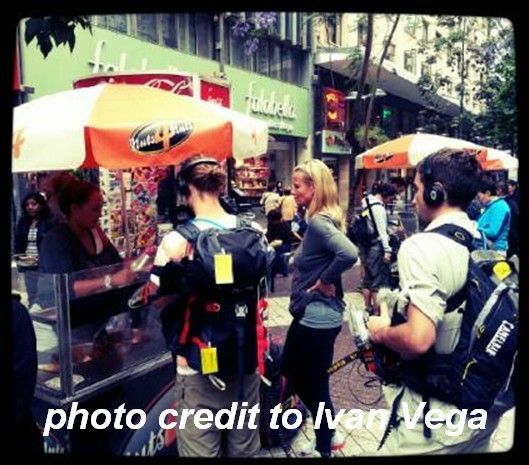 We just finished shooting The Amazing Race in Chile ! I wonder how many legs Chile got. It's obvious it was more than one but remember Australia got 3 legs last season. Back on November 26th, I found this tweet from Windhoek, Namibia and posted it in the TAR 22 sightings even though TAR 22 was in Botswana and not Namibia. Here's another possible sighting, this time next door to Botswana in Windhoek, Namibia. You know Kapana has made it big when you trying to dip in the spice and get bumped by contestants in the Amazing Race. Kapana is grilled meat served with a tomato, onion, chili and spice sauce and fried bread called fat cakes. It is popular and sold by street vendors in Namibia. 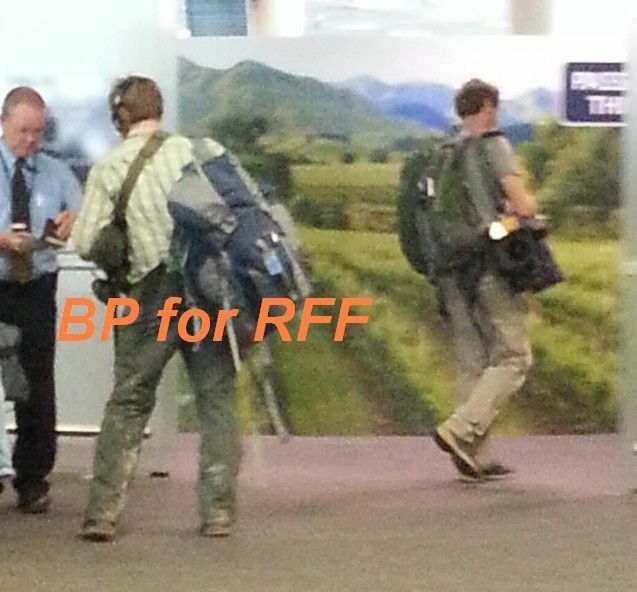 It seems a bit early for TAR to have gone from Botswana to Namibia, but it is possible. It could also be that TAR Norway in one of the sightings from the last 2 days and TAR 22 is in the other one. At this point, there's no clues as to which is which. 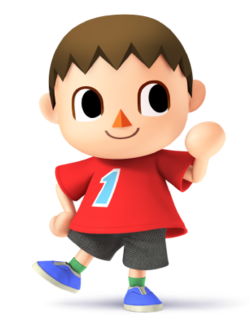 My attempts to contact people have been ignored so far. 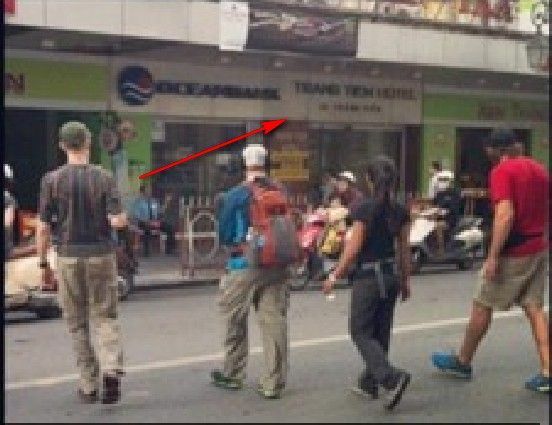 A contingent of 50 Norwegian film crew and the participants in the acclaimed television real­ity show, The Amazing Race, last week quietly slipped into the country to se­cretly shoot on location two episodes of the Norwegian version of the popu­lar internationally acclaimed television show. 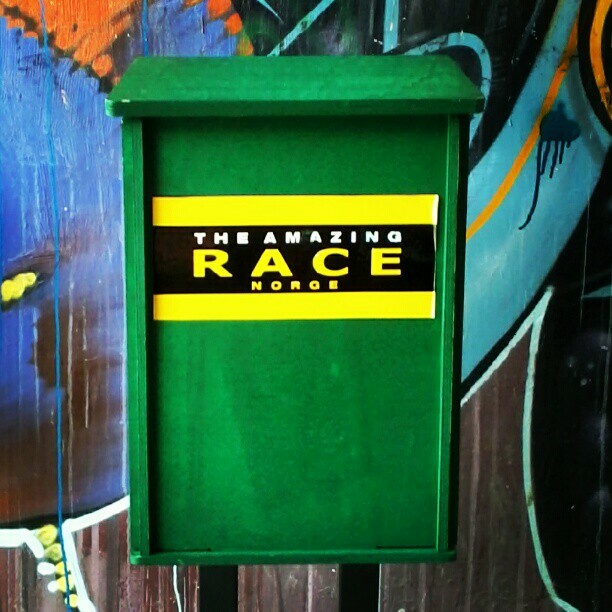 The nineteenth series of the Ameri­can version of the Amazing Race is currently nightly screened on DSTV. In an exclusive interview, the execu­tive producer of the second Norwegian series titled The Amazing Race Norge, Rune Biseth-M of Rubicon TV in Oslo, said the program was very popular in Norway. “The first series for which we bought the franchise and rights from Disney in America had 10 percent of my coun­try’s population involved as viewers. This time around with an expanded se­lection of countries such as South Afri­ca and Namibia included it is my hope that the television ratings will increase up to 15 percent,” Biseth-M said. The two episodes shot on location in Namibia cost an estimated N$2 million dollars from which a number of local film technicians benefitted. “In view of the fact that the series is shot in the Norwegian language and the fact the series is not scripted, we had to bring a large number of camera per­sons and sound technicians to South Africa and Namibia, that was selected for its geographical situation close to Cape Town where the two South Afri­can episodes were shot on location,” he said. According to the executive producer, the first Norwegian series was primar­ily featured greenery and coastal land­scapes. “For diversity I wanted to bring in the Namibian desert feeling into the program. That is why we shot one of the two episodes on a rented train that took us to Ebony train siding from where the program took us to Spitz­koppe in the Namib Desert, also to the Moon Landscape deep into the des­ert. It took us to a village and into the mountains in that area and we also met up with a wonderful troupe of Bush­men (San) from the east of Namibia,” he said. The second episode was shot in Katu­tura at the former Single Men’s Quar­ters and at Okapuka Game Lodge out­side the capital for wild life inclusion. On Monday everybody had a rest day staying at the Windhoek Casino and Resort before flying off in the early hours of Tuesday morning to the next destination in the program. The Namibian and South African episodes will be screened in Norway sometime next year. We were at first very surprised by all the smog in Santiago, it even covers the Andes most days, which is sad. While we were there we saw the amazing race, so look for us on any upcoming episodes because our tour guide helped them find their way. We found great restaurants, fun streets, spectacular views, and overall loved the city and its bohemian vibe. We both agreed we would definitely go back, if only for the cheap market where we spent hours looking through hundreds of stalls all selling traditional Chilean goods manufactured in China. The sighting from Portillo is from an extra on the show. There wasn't much detail, but there was a hint there there may be a mustache related aspect to the men participating in the task. I'm not sure if there were 2 legs or 3 in Chile. Other than that, I think you're right. Me saqué una foto con una pareja de noruegos que están compitiendo en Amazing Race. I took a photo with a pair of norwegians that were competing in Amazing Race. Tenían que vender medialunas, los amé. They have to sell medialunas, I loved them. 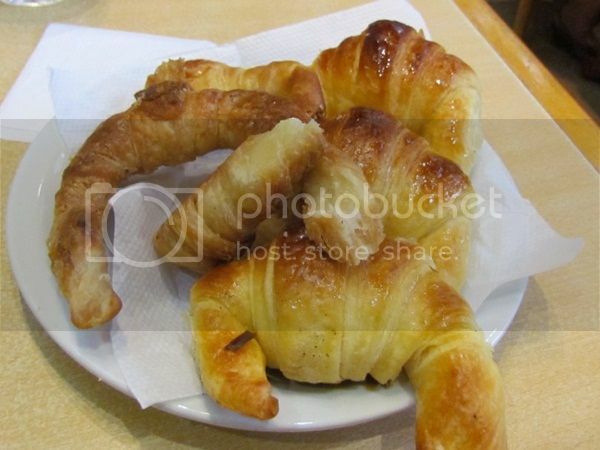 (Medialunas are a bakery product, similar to croissant but smaller). I just can't figure where (in Argentina) is she from. The obvious choice is Argentina comming after Chile (old TAR formula ), then if this was yesterday that would make two legs in Argentina (at least). I just can't figure where (in Argentina) is she from. The obvious choice is Argentina comming after Chile (old TAR formula ), then if this was yesterday that would make to legs in Argentina (at least). We have to wait. I tweet her, hoping she provide us an answer about this. Uribelarrea is a town in the province of Buenos Aires, Argentina.